Employers will need to take account of obese workers in risk assessments to ascertain whether any special arrangements need to be made. As well as making sure that obese employees have the appropriate equipment, businesses may also be expected to try and change eating and exercise habits. According to Dr. Ian Campbell, the former director of the UK National Obesity Forum: "Jamie Oliver has highlighted the positive effects that healthy eating has on children in their day at school – we now need to ensure this principle is applied to the workforce". Simple things like providing access to fruit, installing cycle shelters and providing corporate gym membership can often help employees to live a more healthy lifestyle. According to the Department of Health, 18 million working days are lost due to obesity-related health problems every year in the UK, so any steps organisations take to help their staff to become more healthy will not only benefit the individual but also the company as a whole. 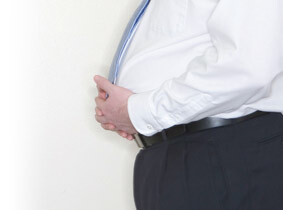 Just over a quarter of the adult population in the UK is clinically obese according to the NHS and the numbers are growing rapidly which is leading many forward-thinking businesses to install specialist bariatric equipment, not only to appeal to this emerging customer base, but also to cater towards the needs of its growing employees! It’s an approach that’s already popular in the USA where companies now see obesity as an opportunity - rather than just a health problem – and businesses that take steps to alleviate some of the embarrassment felt by overweight people can expect to reap commercial rewards. There are no limits to the modifications that businesses can make such as strengthening equipment, widening doors, installing larger toilets that are floor-mounted and adding seating that is both sturdy and wide. Plus there are a wide range of other fixtures and fittings specifically designed to cater for larger visitors or employees. Whilst most of these specialist products are slightly bigger than usual, the changes are often very subtle, making the user feel comfortable. Safety of employees also has to be considered and those requiring PPE need to have clothing and equipment in large enough sizes. Even if businesses decide against making such changes it’s likely that modifications will have to be made at some point in the future. In the USA, obesity now dictates a lot of the built environment with buildings being designed to be larger, and wider seats being used everywhere from sports stadiums through to bus stops. Plus, new train carriages are being fitted with seats that can support up to 180kg, buses are made with wider doors and even the vehicle’s brakes are being upgraded because heavier passengers mean increased stopping distances! Some of these trends are already crossing the Atlantic. It’s estimated that in the last 20 years alone, theatre auditoriums have had to grow by 30% in order to accommodate the same number of people as those built 100 years ago, and when London’s Royal Festival Hall went through a £71m refit in 2004, more than 100 seats were removed to give audience members extra room. Airbus are also incorporating extra wide seats in the designs of their new A320 aircraft to be available at a premium cost, as a response to the increase in passenger complaints about neighbouring passengers encroaching on their space. In addition the new Wembley Stadium has seats that are 50cm wide and 80cm deep which is 9cm wider and 16cm deeper than the old Wembley. Wide aisles between the rows of seats are also a key feature; this has resulted in more leg room in every seat than there was in the Royal Box at the old stadium! Research from this year’s European Congress on Obesity predicts that nearly half of all British men and more than a third of all women will be obese by 2040 if current trends continue so even though the Western world is finally waking up to obesity, until something drastic is done to reverse the trend, the appetite for bariatric equipment looks set to continue to grow.